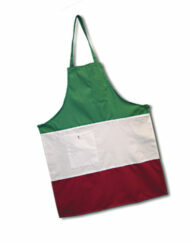 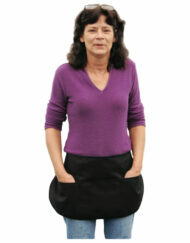 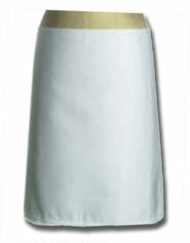 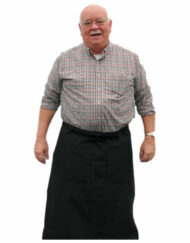 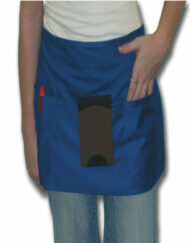 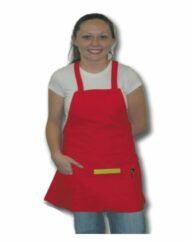 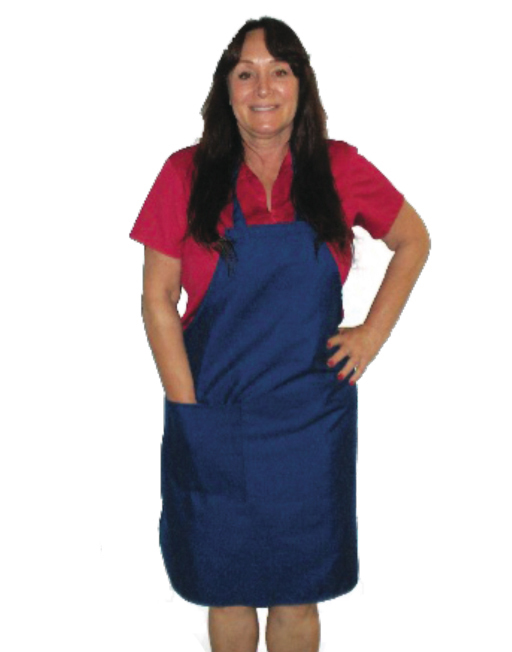 Deluxe Bib Apron – 32″ Long by 28″ Wide – 1 Hip Pocket – with Matching Ties. 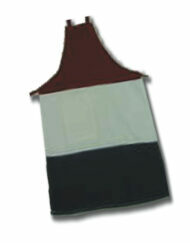 Made of a Poly/Cotton blend fabric. 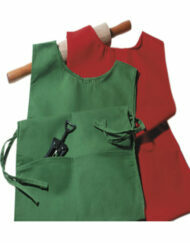 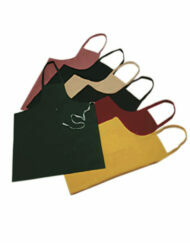 Top quality sewing – easy to wear and launder. 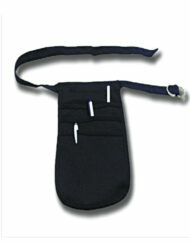 Can be retail packed with your logo for an additional charge, otherwise, packed by the dozen. 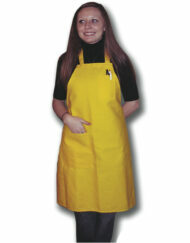 Any special sizes of other customization done by request.